The heart is a tricky thing. Obviously, it's an actual organ but is also understood as the origins of emotions. The ancient Greeks and Egyptians thought the heart was the body's control center, not the brain. It's hard to explain to kids. "How do I ask Jesus into my heart?" How does that work? What I explained to B-man was that when you are saved, you are agreeing with God that you are a sinner and that Jesus died to pay the price for those sins. It's a little easier to understand that explaining that Jesus is going to be sitting on your heart valves. To say you know someone's heart is really to say that you know what they care about. "I have a heart for the homeless" means that person is driven to help homeless people. Do people know 'your heart'? Do they know what you care about? How do they know? I think it is so important that people know what you care about, especially at work. If you're a leader and people know that you care about their wellbeing, that can cover a multitude of sins. In my work as an educator, when I know that someone really cares for kids and wants the best for their students, I can forgive the occasional disagreement. However, if I don't know that about you, I'm likely to be guarded and weary. Knowing someone's heart helps you understand their motives. Don't you want that courtesy extended to you as well? The only way to get that courtesy is for people to know your heart. 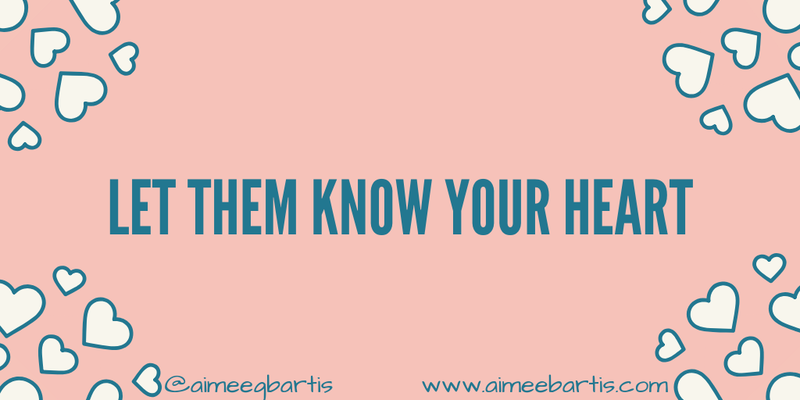 How do you let people know your heart? Your words and your actions. It can't be just one or the other, it has to be both. If your words and actions to line up, people become confused and questioning. My 'why' is service. My why guides my heart but it's not the entirety of the story. I love Jesus, that's my heart. 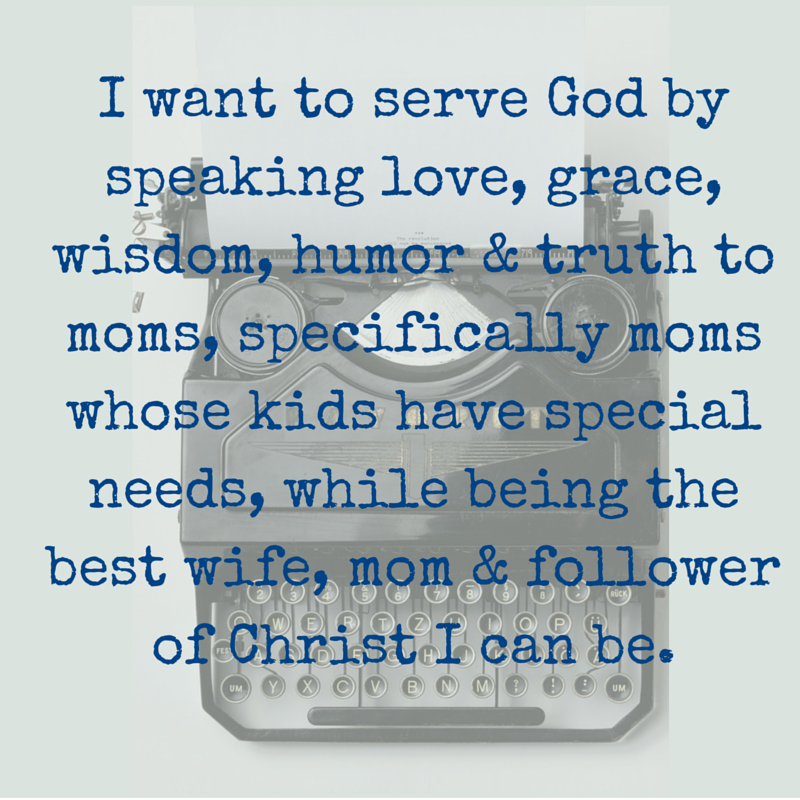 So I try to serve people the way Jesus did. I dig autistic people. So I try to serve them. Make sense? What do you think? Do you think it's important for people to know your heart? How do you show it? Ah the heart. Such a wondrous organ and a great healer as well as something that we can truly injure if we are not careful. In an emotional way. A "good" heart is awesome in my book. Kind, caring, loving and so very meaningful. Your words are always beautiful and make me think. They are always "heart felt." Thank you Aimee. The unknown commenter above is actually Paul Wood.